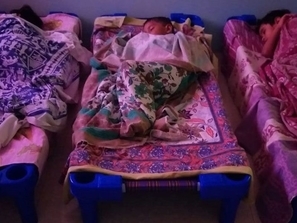 The second home, the Daisy Daycare is managed by committed and experienced teachers with strong background in early childhood development, learning and care-giving. We personalize the experience to accommodate each child’s emotional, social and intellectual needs. 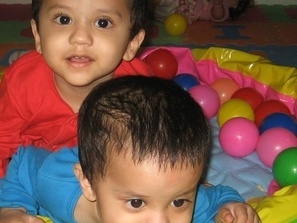 Daisy Montessori provides Full Daycare and Extended Daycare for children age group from 9 months to 10 years. We create the innovative atmosphere in our day care for different age groups with different activities, textures, colors. Our high quality full day care program has been designed to provide a facility for parents who would like to see their child be comfortable and safe, while they are at their workplaces. It allows mothers to return to their workplaces without compromising on the quality of care and love their little ones get. We at Daisy strive to ensure that we provide a safe, secure, healthy and nurturing environment for children to play, learn and grow. Children who come to our daycare around Manyata Tech park they will be included in an appropriate developmental age group.